Last week, I posted some pictures of our Sunday night crock pot dinner on Instagram and had more requests for the recipes (for both the butter chicken and the naan) than I was expecting. I found the recipe on Pinterest (isn’t that where all good recipes hang out?) and followed it to Half Baked Harvest. Because I wasn’t able to find one of the ingredients listed in her recipe at the store and in order to adjust it to our taste and family size, I changed the recipe slightly to what you see below. It really was one of my most popular everyone-liked-it recipes that I’ve made my family in a while – and my husband is a huge fan of Indian food (and a tough critic to please!). In a large bowl, mix spices, tomato paste, coconut milk, yogurt and cream. Spray the inside of your slow cooker with cooking spray. Add onion to slow cooker, then chicken. Pour sauce over chicken. Add the butter on top of sauce, cover and cook on low for 6 to 8 hours. Serve with white rice and naan. 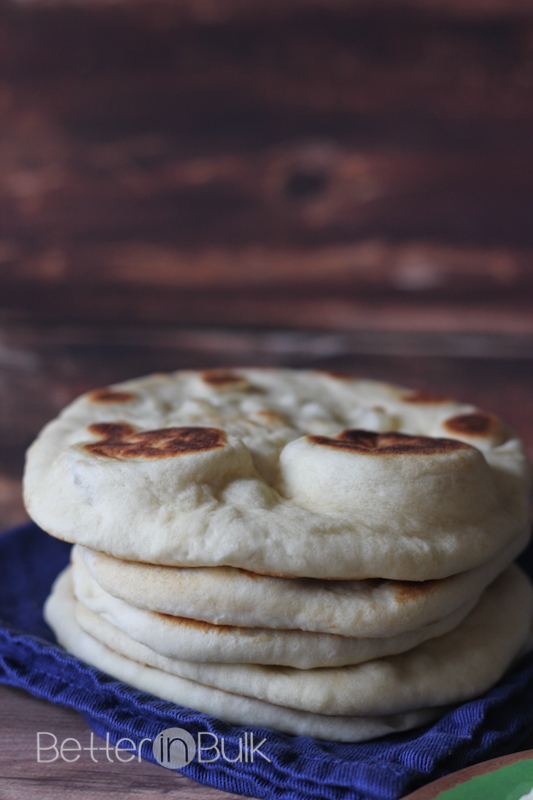 You will definitely want to make this naan recipe as well. It is some of the best naan I’ve ever eaten, thanks to the secret ingredient – more Greek yogurt! © 2014 – 2017, Food Fun Family. All rights reserved. 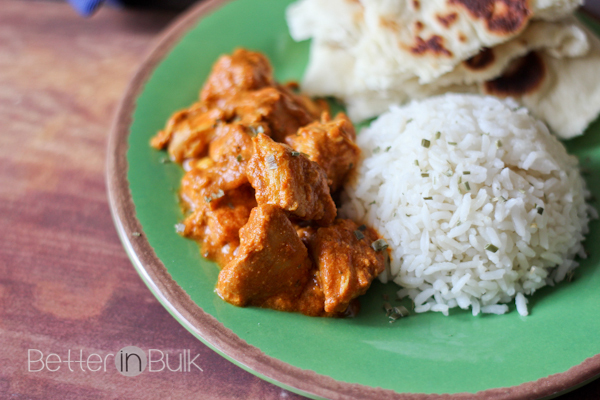 Is Tikka Masala a seasoning or sauce? I have never made Indian food before, but this looks delicious. I tried Googling it and I keep coming up with recipes. wow this looks delicious and I cannot wait to make this recipe for my family. 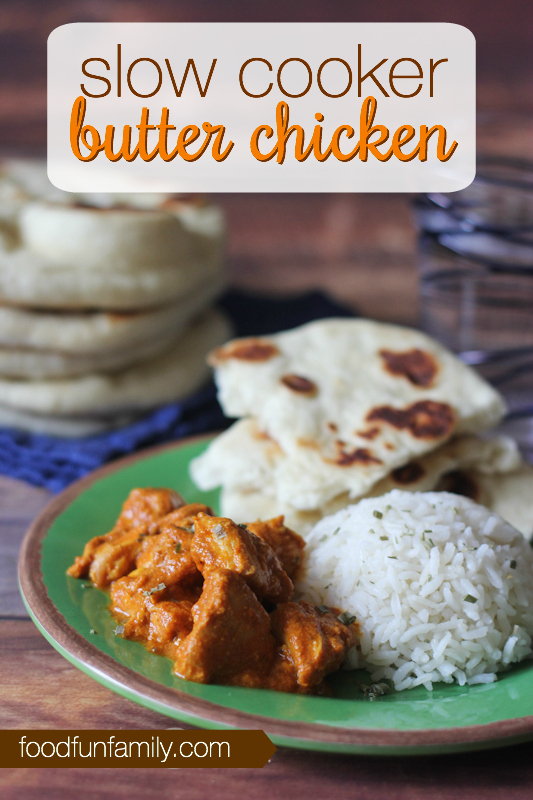 I’ve never had Butter Chicken but this looks delicious! Even better that it’s made in the slow cooker. I made this recipe tonight and it was delicious! Hubby complimented the cooking and let me tell you that doesn’t always happen! This looks right up The Hubs and my alley! YUM! what a great chicken recipe, I can’t wait to try it! Looks yummy, Lolli! I especially love the naan … have never tried to make my own before. I’ll have to give it a go! I cannot express how much I love you right now. I LOOOOOVE butter chicken. Love it! But I never thought about making it before. Now that I have an awesome -slow cooker- recipe to try out I am the happiest girl ever. Yum!!! oh yum, this looks so good. I love crockpot recipes. I have never heard of Naan before.